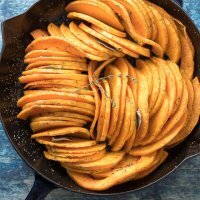 Hi Everyone, I love butternut squash and it can be prepared in so many ways. 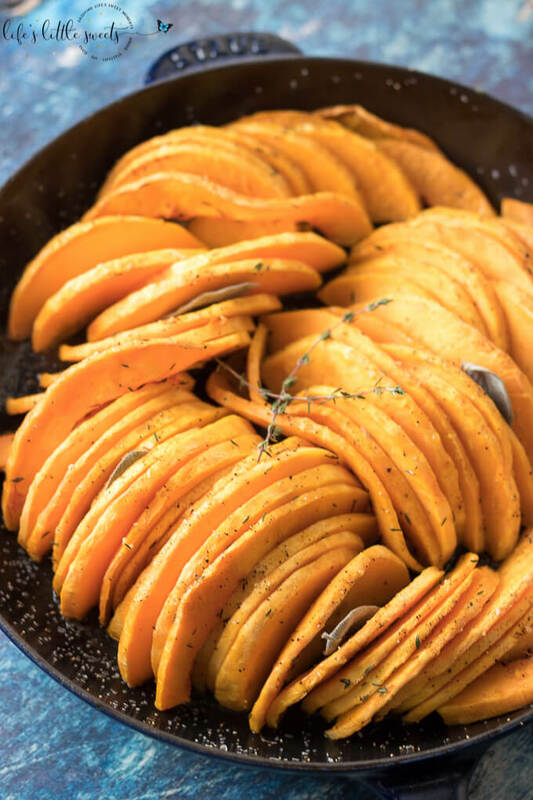 This Skillet Oven Roasted Butternut Squash makes use of a mandolin slicer, cutting the butternut squash into 1/4 inch slices. You can certainly use a sharp chef’s knife to slice the butternut squash into slices. If you use a mandolin slicer, watch your fingers. I usually slice most of the squash with the mandolin slicer and the last part, I will use the knife. I used dried sage leaves and thyme that I grew from my garden this year. You can use fresh herbs as well. 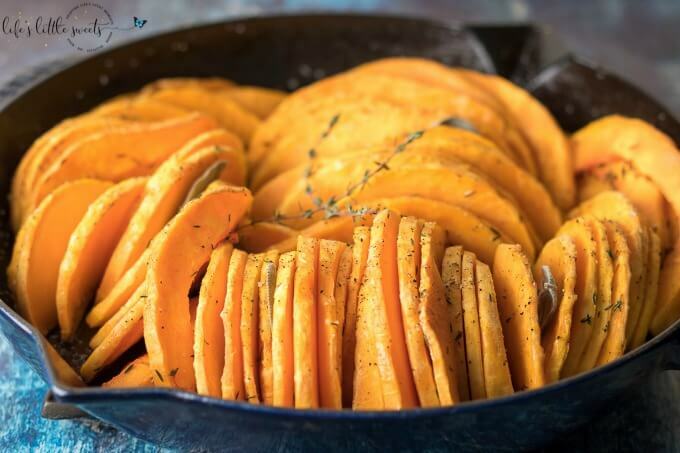 This Skillet Oven Roasted Butternut Squash recipe is one of my “garden-inspired” recipes, you can see all of the garden-inspired recipes, here. 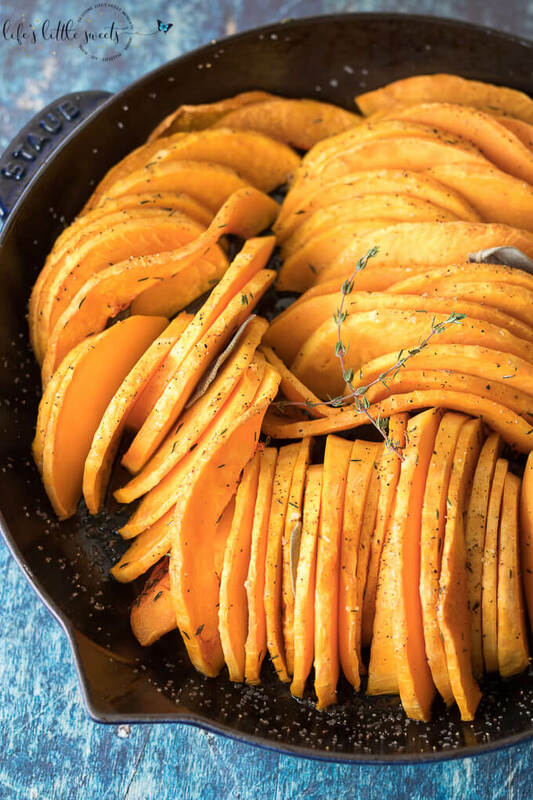 I know you will love this Skillet Oven Roasted Butternut Squash! 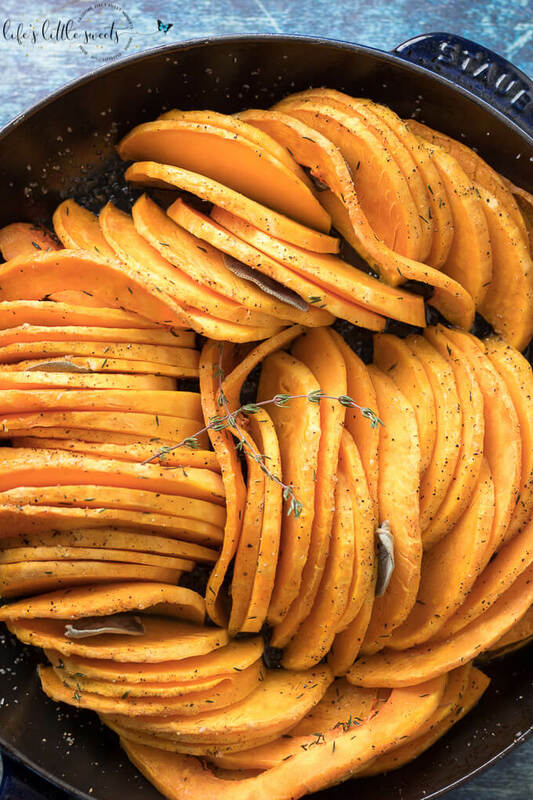 In a large mixing bowl, mix olive oil, herbs, salt and pepper with the sliced butternut squash until evenly coated. 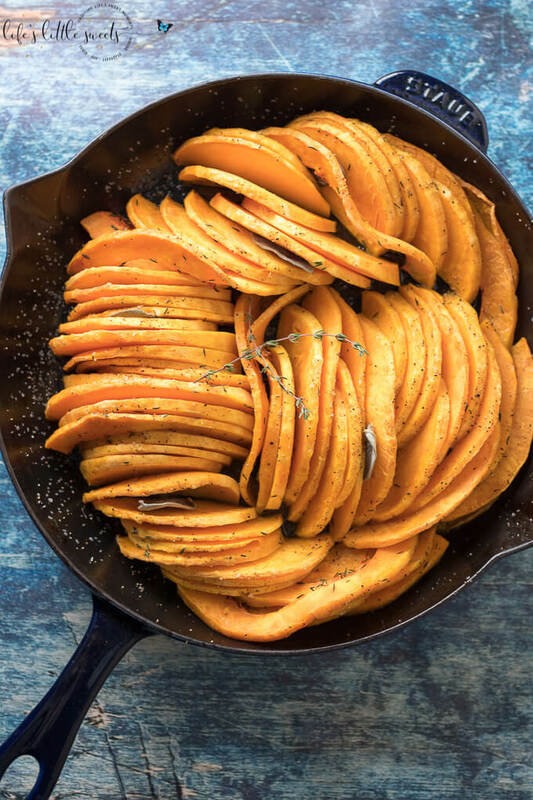 Arrange the slices in a large cast iron skillet and bake for 1 hour or until tender and lightly browned on top. Serve in the skillet (careful, the skillet is hot, use oven mitts) and enjoy!